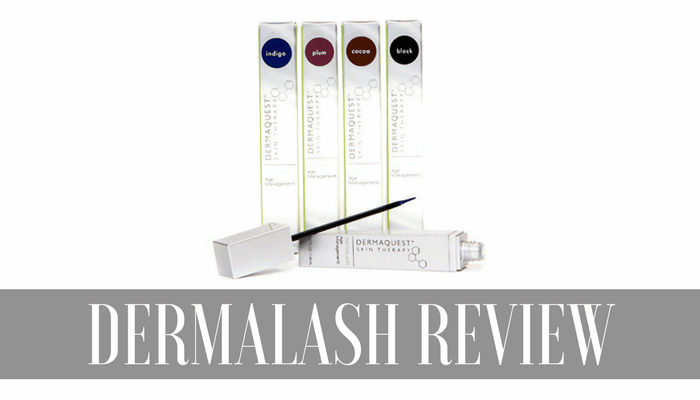 >> DermaLash Review – Proven Results or Not Worth the Cash? DermaLash is the product of DermaQuest Skin Therapy Inc. with a worldwide reputation for innovative skincare formulations that are a brainchild of its CEO and founder Sam Dhatt who has been responsible for developing over 700 skincare formulations for leading cosmetic incorporations. With an impressive backer, the product promises to protect lashes from day-to-day cosmetic abuse, allergies, and environmental damages that lead to breakage and splitting while promoting stronger and voluminous lashes. It is used as an eyeliner along the upper lash line once a day. The manufacturers recommend an additional application of their product DermaLash formula to augment the effectiveness of DermaLash. DermaLash promises to take noticeable effect within 3 to 6 weeks of regular once-a-day application. DermaQuest unfortunately does not list the ingredients of DermaLash on their site but some of the third party sites mention ingredients such as wheat and soy protein, various glycols, extracts, biotin, and the mysterious eyelashes growth promoter complex. The ingredients include Peptide complex and anageline, which is responsible for boosting vascular density of the hair follicle and supplying more oxygen within the hair bulb thereby rejuvenating and replenishing the lashes. The list of ingredients as mentioned in the online retailer sales site is Tussilago farfar (coltsfoot) flower extract, which is a popular expectorant promoting hair growth, achillea millefolium extract (yarrow), cinchona succirubra bark extract, which is used by Europeans as a hair loss remedy, alcohol denat, milk protein lactose, sodium citrate, citric acid, and PEG-40 hydrogenated castor oil among others. Apigenin, another ingredient stimulates the blood vessels thereby effecting hair growth. As you can see, most of the ingredients are plant extracts. The pricing of the product is attractively placed at approximately $95 that is midway to most of the brands in similar categories and is cheaper than most of them. The product is available at local salons, spas, and online retailers and was featured in one of the top television shows with an above average rating. DermaQuest is a long time player in the cosmetic market with a solid reputation for churning out effective skin care formulations. DermaQuest official site does not list the ingredients of DermaLash, which is a serious drawback, as most of us would like to know what makes the product tick before making a purchase. It is hard to find clinical studies or result photos that support the claims of DermaQuest with regard to their star product DermaLash. The contents of the ingredient Eyelashes Growth Promoter complex will remain a mystery as it is left undefined by the promoters of the product. Interestingly, unlike most of the brands, DermaQuest does not sell its products on their official site. DermaQuest is a leading name in the world of beauty products. Although its product DermaLash enjoys a certain level of security in the name of its creator, lack of clinical studies and research reports by independent third party researchers to corroborate their tall claims and insufficient data on the ingredients and their role in the efficacy and the safety of the product makes it hard for the customer to purchase this product with good faith alone.